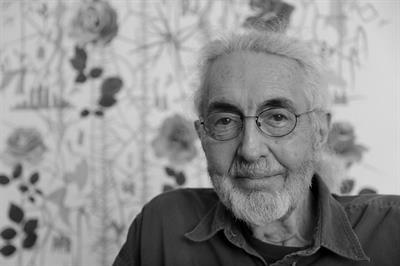 Roland Reiss: Unapologetic Flowers and Small Stories will focus on the work of acclaimed Los Angeles artist Roland Reiss who devoted much of his teaching career to the Claremont community. 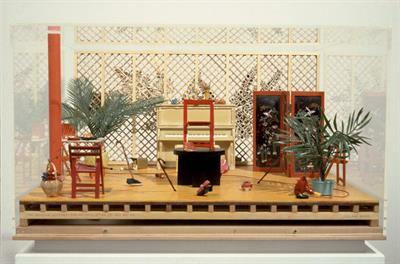 On view at the Claremont Museum of Art will be selections from two of Reiss’s best-known bodies of work: the “miniatures,” sculptural tableaux suggesting human dramas in familiar settings (1970s-90s), and recent floral paintings that vastly expand the expressive potential of one of the most conventional subjects in the history of painting. 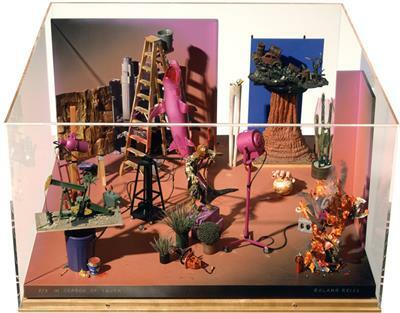 The exhibition will include a selection of “miniatures” dating from the mid-1970s-90s. Among the artist’s best-known works, these boxed, sculptural tableaux are simultaneously familiar, mysterious, and provocative. 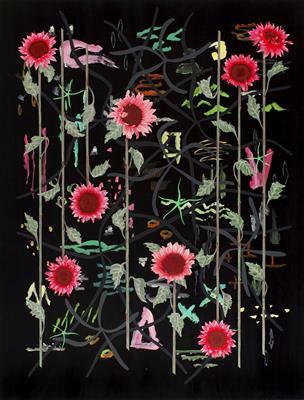 Also on view will be a selection of Reiss’s floral paintings drawn from a series begun in 2007 that continues to this day. 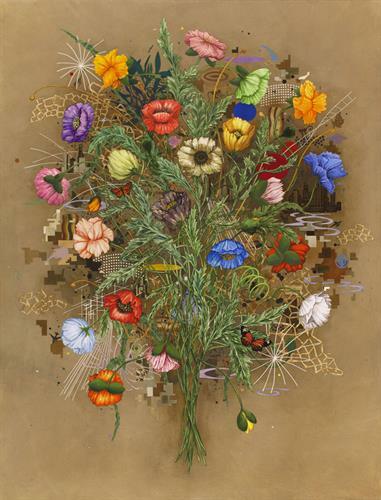 The decision to focus on flowers, a subject generally undervalued in the history of painting, reflects the artist’s ongoing determination to challenge himself, to push limits, to employ the breadth of his experience in compositions far more complicated than they first appear. During his long tenure in Claremont, Reiss taught and mentored generations of students in the innovative, widely acclaimed program he developed, enabling them to enter the art world prepared to launch successful careers. When Reiss won the prestigious College Art Association Award for Excellence in Teaching in 2009, the citation noted: “An exceptional teacher can connect with the current generation of students and lead them into the future. It is a rare educator who can do this generation after generation, deeply penetrating the pulse of the times. “Many of his student’s grace Claremont’s art community today. An opening reception will be held Saturday, April 7 during Art Walk from 6-9pm. The exhibition opens Saturday, April 7 and will remain on view through July 8, 2018.
with a reception from 6 to 9 p.m. during Art Walk and remain on view through July 8, 2018. The Claremont Museum of Art, located in the historic Claremont Depot at 200 W. First Street, is open Friday, Saturday and Sunday, noon to 4 p.m. For more information visit www.claremontmuseum.org. The exhibition is generously sponsored by Peggy Phelps, Jane Park Wells and Bill Wells.